Obsidian Strategic, the joint venture set up by Martin’s Properties and developer BlackOnyx, has got the green light for its first project. 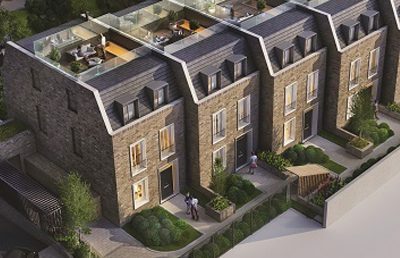 Planning permission has been granted for the £13.5m Wedgwood Villas scheme in Chiswick, which will comprise six townhouses on a former car park site in Horticultural Place. “Wedgwood Villas is a good example of the type of complex site without planning that we are looking to acquire through the new JV,” said BlackOnyx managing director David Ardley. Obsidian Strategic is looking to build up a £100m land portfolio in the next five years.